A recurring event is an event that happens more than once, on a repeating schedule. When a repeating event is turned into individual event instances with individual dates, it is called “expanding” the event. The RRule plugin is a connector to the rrule js library. 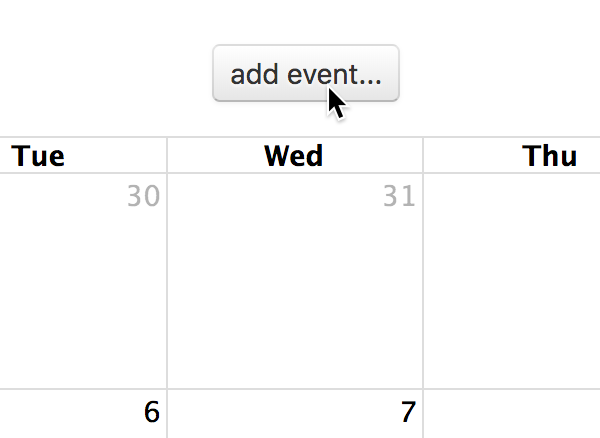 It is powerful for specifying recurring events, moreso than FullCalendar’s built-in simple event recurrence. A hook for transforming custom data into a standard Event object. A fallback duration for timed Event Objects without a specified end value. A fallback duration for all-day Event Objects without a specified end value. A flag to force assignment of an event’s end if it is unspecified. Adds a new event on the calendar. Modifies a single property in an Event Object’s extendedProps hash. Sets an event’s end date. Sets whether an event is considered all-day. Will move an event’s start and end dates by a specific period of time.